A fine-art photographic composite of the sun and moon over Atlanta. Available in multiple sizes and mediums. I was scoping out a location with a friend of mine. It was a couple of weeks ago, late October. The weather had turned on a dime from hot to chilly. I remembered to grab a light sweatshirt and I sure was glad! When we arrived, the moon was full and up. We stumbled around in the dark getting set up. I got my camera on the tripod and took some shots of the moon and the dark city skyline. Nothing spectacular. The sky slowly lightened. 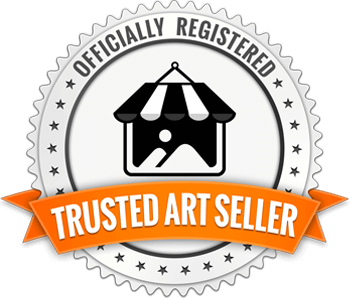 It moved from shades of blue-black to light-blue and then a spectacular saturated orange. When I looked at the photos later, I saw the sunrise and moonrise together in my mind's eye. 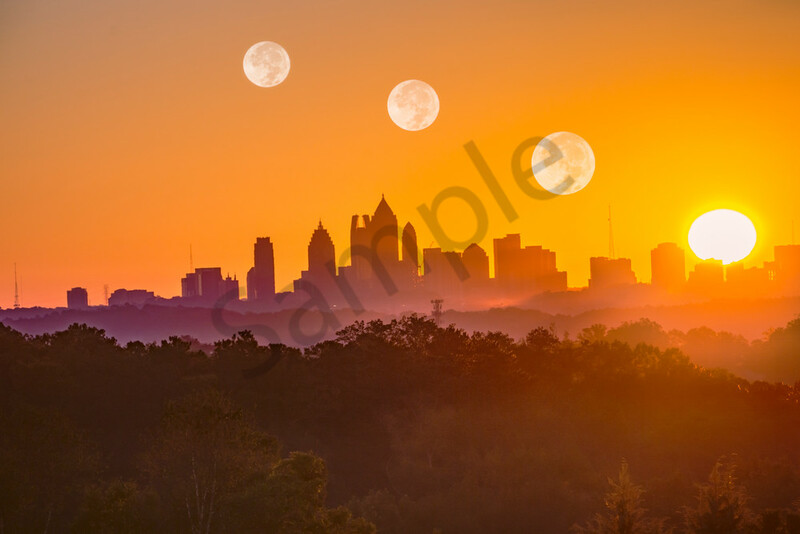 I used the photos I took of the moon that morning and combined them with the beautiful sunrise over the City of Atlanta.